Waller House is an old fashioned bungalow, built in central Austin in the early 1900s. It was moved to East Austin in the 1930s around the time the University of Texas underwent an expansion. Waller House brings old Austin charm to Tipping T now, in its new home! Featuring renovations using salvaged materials, the Waller House has unique windows, gorgeous wooden walls and hardwood floors. 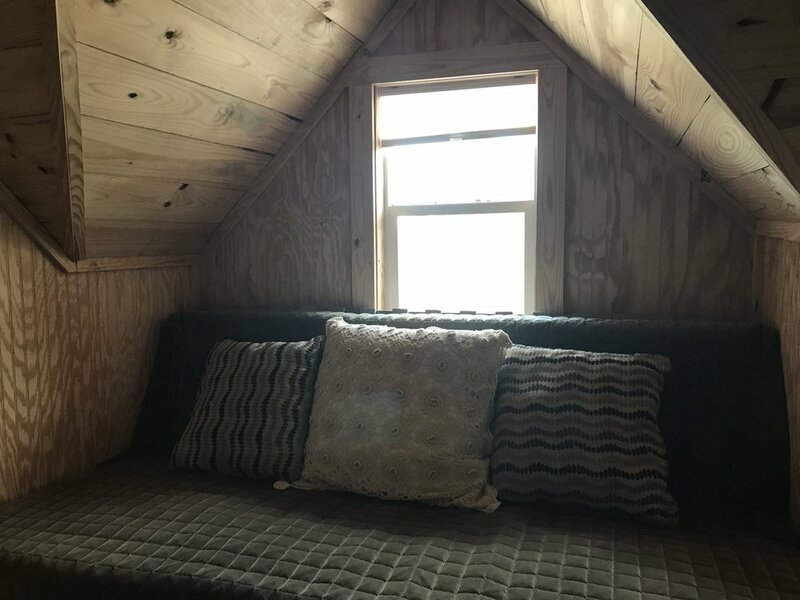 Waller House offers two private rooms upstairs each room sleeps two. 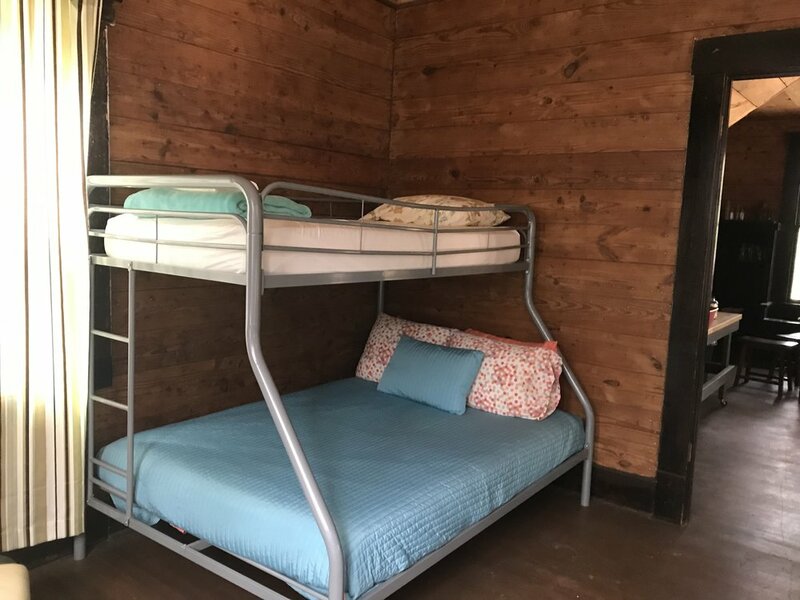 On the first floor there is a spacious bunk room with two twin over full size bunk beds. 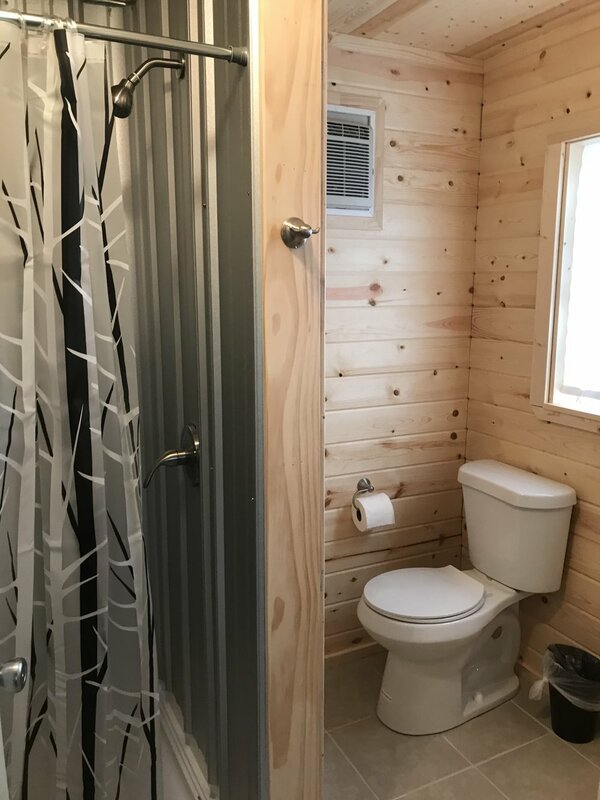 Waller house has recently been updated to include it's own private bathroom! Guests will still have access to our large modern bath house should they need additional facilities. Waller House has a mini-fridge, toaster oven and coffee pot. 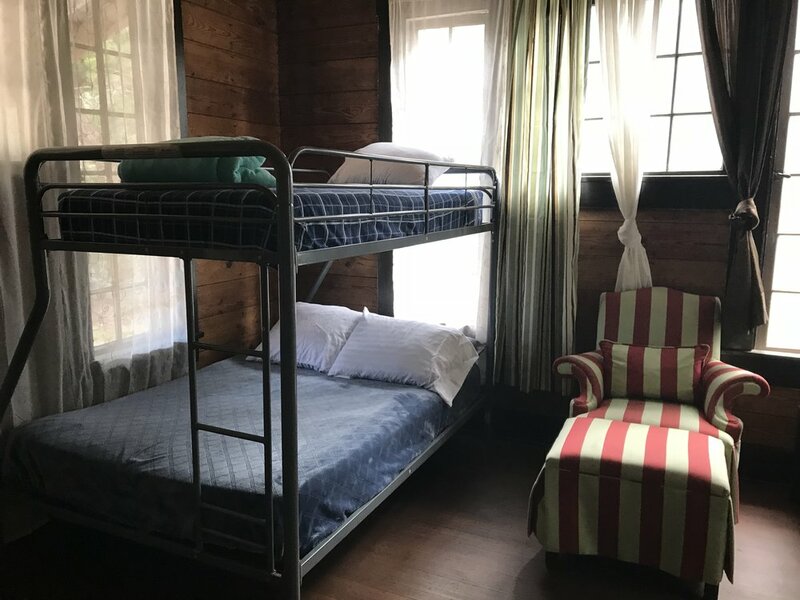 The Waller House is priced at $225/night ($235 March - May 2019) for up to 4 guests. For each additional guest there is a $25/person per night rate increase up to 10 guests total. There is no additional charge for children under 13. Fur babies are welcome but must be crated if left in the cottage unsupervised.